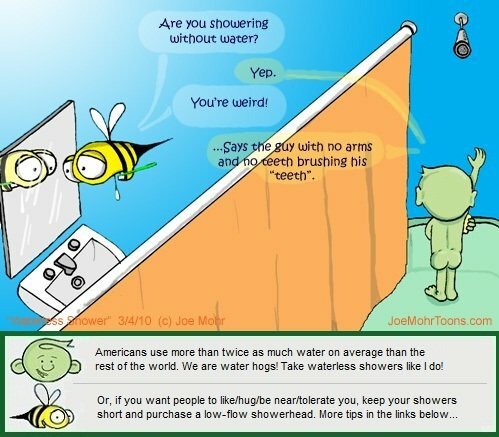 “Hank D and the Bee: Waterless Shower” Reposted from NaturalPapa and EcoChildsPlay. Interesting way of promoting water conservation. Maybe more of an explanation would be helpful to explain it and water waste in general. This would attract more people to view it. That’s what the links are for.